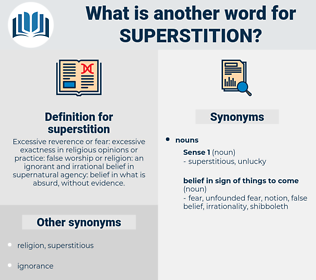 What is another word for superstition? 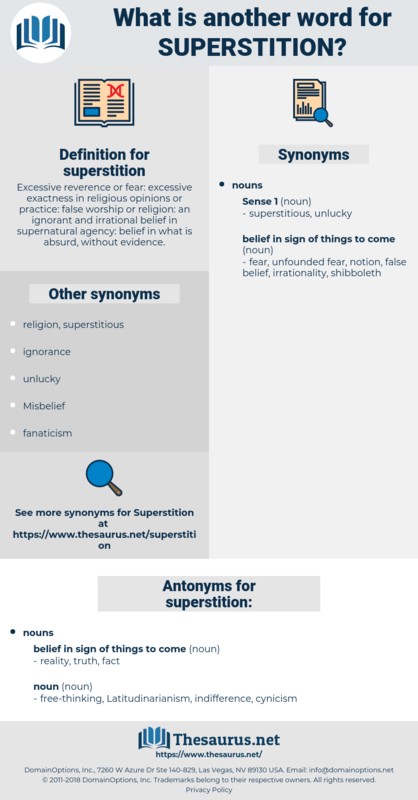 Excessive reverence or fear: excessive exactness in religious opinions or practice: false worship or religion: an ignorant and irrational belief in supernatural agency: belief in what is absurd, without evidence.
" I always carry it about with me; it's become a superstition. He lightly waves aside my remark concerning the ninth - day superstition.